John Antonsich (1869-1937) was born February 22, 1869 at Veli Losinj, Croatia. He arrived at New Orleans on August 15, 1900 aboard the SS Augusta imbarking from Glascow, Scotland. He married Jennie Budnich (1876-1930) at NOLA in 1900. They moved to Bunkie, Avoyelles Parish, Louisiana where they remained until October 1915 when they relocated to Biloxi, Mississippi. Mary Antonsich (1898-1939) married Steve Grasich (1886-1958), a natve of Brac, County Split-Dalmatia, Croatia. Mary was born in Losinj, Croatia. She expired at Biloxi on October 12, 1939. Children: John S. Grasich (1918-1996); Louis Grasich (1919-) ; Catarina [Katherine] Grasich (1920); Joseph Grasich (1923-1925); Jennie May Grasich (1924-1924); Louise Grasich (1925-) m. Walter L. Palmer (1924-1991); Louise Anna Grasich (1927-2005); Frieda Grasich (1929-1964) m. Eugene J. Kerr (1928-2011); and infant Grasich (1939-1939). Antonsich children born at Bunkie, Louisiana were: Jenny Antonsich (1905-1977) m. Anthony Filipich; Anthony Joseph ‘Murge’ Antonsich (1911-1980) m. Melody Prevost (1919-1993); Louise Antonsich (1912-2002) m. Michael Bumbera; Lenora Antonsich (1909-2005) m. Nikola [Nicholas] Pitalo (1902-1981); and Anna May Antonsich (1915-) m. Max A. Robinson (1910-1976). The Daily Herald, “John Antonsich files Citizenship petition”, April 22, 1920. The Daily Herald, “Aliens may learn from reading”, May 12, 1920. The Daily Herald, 'Mrs. [Mary Antonsich] Gracich dies', October 13, 1936. The Daily Herald, “Joseph Antonsich”, April 7, 1980. The Sun Herald, “Melody Prevost Antonsich”, March 1993. The Sun Herald, “Anthony Antonsich”, October 9, 1996. The Sun Herald, “Louise A. Bumbera”, July 2, 2002. The Sun Herald, “Leonora A. Pitalo”, March 13, 2005. Tony and Catherine D. Benvenutti were the parents of at least two sons: Anthony D. Benvenutti Jr. m. Mary Louise McCabe and Joseph Nicholas Benvenutti (1896-1968) m. Cornelia Mary Garriga (1906-1990). Francisco 'Frank' Simon Benvenutti (1863-1906) was born on February 18, 1863 at Nerezine, Losinj, Primorje-Gorski Kotar County, Croatia to Domenico Benvenutti (1833-1866) and Domenica Illich-Fano. Family lore relates that Frank was a stowaway on steamer that left Trieste for New Orleans. He arrived in the Crescent City in 1880 and married Mary Louise Desbles or Desblais (1868-1943) between 1889 and 1893. They were the parents of: John Benvenutti (b. 1887); Joseph Benvenutti (b. 1889); Estella Benvenutti (1893-1988) m. Henry J. Meyer; Dora Benvenutti (b. 1895) m. Mr. Cox; Maximillian Benvenutti (1898-1979) m. Elosie A. Delaney (1901-1983); Florence Benvenutti (1900-1988) m. Joseph Lacoste; Augustina Benvenutti (1905-2000) m. Ernest Sperier (1901-1983); and Albert Joseph Benvenutti (1906-1987) m. Clara Woodcock (1911-1999). The Daily Herald, 'Mrs. Mary Benvenutti', Febriary 23, 1972. The Sun Herald, "Ernest F. 'Ben' Benvenutti", September 7, 1994. The Sun Herald, "Clara W. Benvenutti", May 26, 1999, p. A9. The Sun Herald, "Hugh R. Benvenutti", March 26, 2000, p. A9. The Sun Herald, "Catherine A. Sperier", April 20, 2000, p. A7. The Times-Picayune, "Woman [Catherine D. Benvenutti] dies of burns", April 26,1924, p. 11. The Times-Picayune, "[Anthony Dominic Sr.] Benvenutti", September 30, 1932, p. 2. The Times-Picayune, "[Anthony Dominic Jr.] Benvenutti, October 8, 1961, p. 8. The Times-Picayune, "[Joseph Nicholas.] Benvenutti", October 8, 1968, p. 19. The Times-Picayune, "[Maximillian] Benvenutti", April 18, 1979, p. 16. The Times-Picayune, "[Elose Delaney]] Benvenutti", May 1983, p. . The Times-Picayune, "[Estella Benvenutti] Meyer", November 30, 1988, p. 24. After the demise of Neil H. McAllister, she married Willie Clyde May. Carl Arsane Budinich (1917-2009) was born January 16, 1917. He married Alma Rebecca Lewis (1922-1999), a native of Gloster, Massachusetts, in Harrison Co., Mississippi on January 6, 1942. They were the parents of two children: Carl A. Budinich Jr. m. Brenda Joy Roig in August 1966 and Sue Budinich m. Worthy McClure. The Biloxi Daily Herald, “Necrology-Louis Rudolph Budinich”, May 17, 1909. The Daily Herald,“[John Joseph Budinich] Will not fight for native land”, August 10, 1914. The Daily Herald,“Former Biloxian [Joseph Argentina] fighting in Austrian army”, June 1, 1915. The Daily Herald,“Daughter [Shirley] born to Malones”, August 2, 1926. The Daily Herald,“Mrs. Budnich succumbs”, March 3, 1932. The Daily Herald,“John J. Budinich”, October 1957. The Daily Herald,“George Budinich”, November 7, 1957. The Sun Herald, “Francis ‘Buck’ Budinich”, February 8, 1989. The Sun Herald, “Alma Rebecca Budinich”, December 22, 1999. The Sun Herald, “Hilda McAllister”, June 18, 2000. The Sun Herald, “Bertha ‘June’ Budinich Redmond”, July 12, 2007 . The Sun Herald, “Carl Arsane Budinich Sr.”, November 8, 2009. Times-Picayune, “Miss Brenda Joy Roig [photo]”, August 14,1966. Frank Martinolich Sr. died at Delisle, Missississippi last Sunday [December 1st] in his 84th year. He was a citizen of this county for 22 years and was born at Lussin [Losinj, Croatia], Austria. He was decorated by the Austrian government for services rendered during the war of 1866. True to his church he was a very devout Catholic and he died with all the sacraments of the church. The funeral took place at Handsboro was attended by a large number of friends and relatives of the deceased. Rev. Father Kuhn conducted the services. The deceased was a ship carpenter and well known in the community and the possessor of many staunch friends. He was the father of Matthew Martinolich (1861-1934) of Handsboro and Frank Martinolich Jr. (1866-1912). Matteo Martinolich (1861-1934) was born February 11, 1861 at Lussinpiccolo, Primorje-Gorski Kotar County, Croatia, the son of Francisco [Frank] Stanislaus Martinolich (1829-1912) and Maria Martinolich (1821-1896). At the age of 14 years, Matteo Martinolich entered the Poland* Navy Yard as an apprentice to learn shipbuilding mechanics and design. At the age of 21 years, he came to America through the port of New Orleans and was soon joined by Frank Martinolich, his brother. Matteo Martinolich settled at DeLisle in Harrison County, Mississippi. From DeLisle, he relocated to Handsboro, Harrison County, Mississippi and established the Martinolich Shipbuilding Company. Here he built hundreds of boats which sailed American waters as well as the Seven Seas. In 1906**, Matteo entered the government service for six and constructed dams, locks and barges on rivers in eastern Alabama and western Georgia. In his absence, Frank Martinolich maintained the boat building enterprises at DeLisle and Handsboro. During World War I, Matteo Martinolich designed and built many water craft at Handsboro for Frank J. Stuard of Gulfport. He was the first designer to introduce Mississippi pine in the construction of sea-going vessel which was approved by the marine underwriters. After the Great War, Martinolich established the Handsboro Ice Plant which by 1936 was operated by A.R. Martinolich, his son. Matteo Martinolich died on December 23, 1934. His corporal remains as those of his wife, parents and some children, were interred in the St. James Catholic Church Cemetery at Handsboro, Harrison County, Mississippi. *Lang probably meant Pula Navy Yard at present day Pula, Istria County, Croatia. **1910 Federal Census-Harrison Co., Mississippi has Matteo Martinloich at handsboro, Mississippi as a shipbuilder. 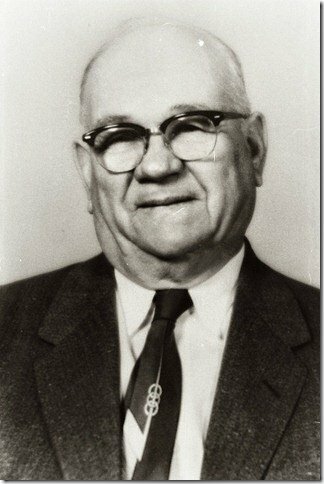 Anthony R. Martinolich expired on December 24, 1976. He was preceded n death by his spouse, Klara Kuhn Martinolich, who died on January 13, 1976. They and their following children were interred in the St. James Catholic Cemetery in Gulfport, Mississippi: Frank A. Martinolich (1914-1968); Irma C. Martinolich (1915-1966); Juanita M. Greenwald (1917-2012) and spouse, Maurice Greenwald (1912-1984); Genevieve Martinolich (1918-1934); and Elaine Martinolich (1923-2013). Thomas David Webb died March 1970. Clara lived until October 1979. Children: Joseph D. Martinolich (1924); Dorothy Adaire Martinolich (1925-2015) m. Joseph O’Donnell Collins (1921-2012); Margaret E. Martinolich (1926-2002) m. George Joseph Peranich (1919-2006); Doris Marie Martinolich (1928) m. Thomas Walter Sheffield; and Charles J. Martinolich (1929). Anna J. Martinolich Pix expired on December 16, 1993 at Houston, Harris County, Texas. She was preceded in death by Miner Crowell Pix, her spouse, who passed on April 25, 1954. Jerome Lepre, Catholic Church Records Diocese of Biloxi, Mississippi, Volume II, (Catholic Dioceses of Biloxi: Biloxi, Mississippi-1995). Jerome Lepre, Catholic Church Records Diocese of Biloxi, Mississippi, Volume III, (Catholic Dioceses of Biloxi: Biloxi, Mississippi-1995). The Biloxi Herald, “Latest City News”, August 22, 1896. The Daily Herald, “Frank Martinolich”, June 3, 1911. The Daily Herald, “Death of Frank Martinolich Sr.”, December 5, 1912. The Daily Herald, “Handsboro boys [Jesse and Leo Martinolich]sink to bottom of swift stream”, June 30, 1914. The Daily Herald, “Mrs. M. [Johanna Pavolini]Martinolich dies at Handsboro”, November 7, 1932. The Daily Herald, “Matteo Martinolich dies”, December 24, 1934. The Daily Herald, “John Martinolich”, August 8, 1952. The Sun Herald, “Thomas David Webb Jr.”, April 7, 1998. The Sun Herald, “Robert Anthony Webb”, October 2009.. The Sun Herald, “Juanita Martinolich Greenwald”, May 3, 2012. The Sun Herald, “Joseph O. Collins Sr.”, October 24, 2012. The Sun Herald, “Elaine Martinolich”, May 16, 2013. The Sun Herald, “Dorothy Adair Martinolich Collins”, July 23, 2015. Francis John Nadalich (1939-2002), called Butch, was born at Biloxi, Mississippi on December 13, 1939. He graduated from BHS in 1957. The Daily Herald, “Covacevich-Nadalich”, March 7, 1929. The Sun Herald,“Francis ‘Monk’ Nadalich”, November 8,1995. The Sun Herald,“Francis J. Nadalich”, June 8, 2002. The Sun Herald,“Weida Hebert Nadalich”, December 5, 2012. Anthony Ragusin with Mary Bunicich (1872-1944), his spouse, reared four children at 525 East Howard Avenue: Antonia Ragusin (1908-2001) m. Thomas Cvitanovich (1895-1977); Mary Ragusin (1909-1999) m. John J. Askin (1895-1958); Anna Ragusin m. Stanley David Lodrigues (1912-1999); and Joseph A. Ragusin (1914-1978) m. Camille Exnicios (1911-2000). Marco Ragusin (1858-1911) married Mary Swansine (1869-1928) on March 3, 1886 in New Orleans, Louisiana. She was the daughter of Antonio “Tony” Sforzin (1832-1888), the progenitor of the Swansine family in Louisiana and the Mississippi Coast and Domenica Mattea “Matteo” Vidulich (1850-1910), the daughter of Giovanni Vidulich and Mattea Ostromann. Antonio Sforzin was born circa 1832 in Croatia, the child of Francesco Sforzin and Maddalena Schierbich. On 28 Oct 1863 at the Zagreb Roman Catholic Church in Mali Lošinj, Primorje-Gorski Kotar, Croatia. Tony Sforzin [Swansine] married Domenica Mattea “Matteo” Vidulich (1850-1910), daughter of Giovanni Vidulich and Mattea Ostromann.Tony Sforzin brought his wife and three children to the United States through the port of New Orleans in 1887. He died shortly after their arrival and his widow married Antonio “Capt. Toney” Bunicich, in New Orleans in October 1889. Marco Ragusin arrived at New Orleans in 1870 and became a naturalized citizen at New Orleans on May 8, 1885. He was a successful schooner captain in his early years and then retired from the sea and opened a saloon in the Crescent City. During their married life the couple lived in New Orleans. In 1911 Mary lost Marco, her husband, on May 8th and her only son, Anthony Ragusin (1891-1911) on September 30th. She and her only daughter, Inez Ragusin Turcotte (1900-1993), then moved to Biloxi, Mississippi and for some time lived with Mary’s widowed sister, Matilda Swansine Simonich (1877-1948). Mary Swansine Ragusin died in New Orleans on November 4, 1928 and was interred with her husband and son at St. Louis Cemetery No. 3 in the Crescent City. The Daily Herald, “City News”, September 12, 1908. The Daily Herald,“City News”, August 25, 1909. The Daily Herald,“Biloxi Society and Personal Items”, May 10, 1911. The Daily Herald, “Declaration of Intention [Joseph Ragusin]”, April 17, 1916. The Daily Herald, “[A.V.] Ragusin is a marvel”, September 10, 1925. The Daily Herald, “Miss Ragusin’s shower”, June 6, 1927. The Daily Herald, "Turcotte-Ragusin", September 21, 1934. The Daily Herald, “Anthony Ragusin, age 78, dies”, April 15, 1940. The Daily Herald, “Mrs. Mary [Bunicich or Buninich] Ragusin dies”, December 11, 1944. The Daily Herald, “A.A. Turcotte dies", April 1, 1948. The New Orleans Item, "Funeral Marco Ragusin", May 9, 1911. The Sun Herald, “Inez 'Cuz' Turcotte”, January 10, 1993, p. A2. The Sun Herald, “Antonio [sic] [Ragusin] Cvitanovich”, November 13, 2001, p. A5. Anthony V. Ragusin (1902-1997) was born on April 22, 1902 at Biloxi, Mississippi the son of Anthony S. Ragusin (18-1910), a Croatian immigrant fisherman, and Mary Josephine Milinovich (1878-1966), a native of Port Eads, Plaquemines Parish, Louisiana. Mary J. Ragusin was the daughter of Adam Milinovich (1841-1880+) and Anna Matlovich (1843-1880+), both natives of Croatia. (1880 Plaquemines Parish, Louisiana R465, ED 141, p. 221A) . The Ragusins lived for many years at 607 Santini Street in Biloxi where Albert had a plumbing business. As a youth, he had left school to sell newspapers to help support his family. Albert's father, Antonio S. Ragusin (1866-1911), a Croatian immigrant, died in June 1911, at Biloxi from blood poisoning resulting from a sting ray wound. [L-R: Albert J. Ragusin (1904-1991), Ruth Bellande Ragusin (1906-1993), Jackie Tabb (b. 1943), Jacobina Gospodinovich Tabb (1914-2006), Dominic Leperi (1920-2004), and Margaret Rita Gospodinovich Leperi (1923-2008)]-image May 1985 with the courtesy of Jackie Tabb. In 1956, the Ragusins built a lovely domicile at 104 St. Charles Street on the north shore of Back Bay. The bay front home was legated to Fern Davidson Dubaz O' Neal after the demise of Ruth Bellande Ragusin in 1993. The Raguain-O'Neal place was heavily damaged by Hurricane Katrina in late August 2005 and demolished in the fall of 2005. In their younger days, they traveled extensively throughout North America by automobile. They enjoyed many visits to the Riley family in Denver, Colorado. In recent years, the couple has made trips to Europe. Albert fulfilled a life long ambition by visiting the Dalmatian Coast of Croatia, the birthplace of his parents. In 1989, the Ragusins celebrated their 50th wedding anniversary at their residence with a family reunion party. Although Ruth and Albert were childless, they have been very supportive of their close relatives through the years. Albert J. Ragusin died October 1, 1991. Ruth Bellande Ragusin passed on September 28, 1993. Both are interred at the Biloxi Cemetery on the beach front. The Biloxi Daily Herald,“Ragusin-Milinovich”, July 28, 1901. The Biloxi Daily Herald,“City News”, September 11, 1908. The Biloxi D’Iberille Press,“Tony Ragusin, 94, oldest living outstanding citizen”, January 22, 1997. The Daily Herald,“Stuck [Antonio S. Ragusin]while seining dies of blood poison”, June 7, 1910. The Daily Herald,“Biloxi newsboy magazine writer”, January 5, 1917. The Daily Herald,“Anthony Ragusin making progress”, July 24, 1918. The Daily Herald,“Makes excellent drawings”, February 24, 1920. The Daily Herald,“Biloxi lad paints picture”, December 29, 1920. The Daily Herald,“Ragusin attending school”, July 12, 1928. The Daily Herald,“Ragusin likes school”, July 16, 1928. The Daily Herald,“Ragusin enters pictures”, March 31, 1938. The Daily Herald,“Ragusin promoted to rank of Major”, July 5, 1945. The Daily Herald,“Jackson leaves secretaryship of Biloxi C. of C. Friday”, February 28, 1946. The Daily Herald,“Ragusin President Biloxi business club”, December ?, 13, 1946. The Daily Herald,“Secretary Ragusin writes of past and future of Biloxi”, January 2, 1951. The Daily Herald,“Ragusin assigned to Florence, Italy”, June 20, 1952. The Sun Herald,“Man who put city ‘on the map’ dies”, March 4, 1997. The Biloxi-D'Iberville Press, "Tony Ragusin, oldest living outstanding citizen", January 22, 1997. The Sun Herald, "Legendary 'Mr. Biloxi' , the Man who lured Keesler, dies at 94", March 4, 1997. The Sun Herald, "Ragusin was 'Mr. Biloxi'-Man who put city 'on the map' dies", March 4, 1997. The Times-Picayune,“Duo presents keen view of Coast Region”, April 1, 1951. The Daily Herald,“City News”, September 12, 1908. The Daily Herald,“Declaration of Intention [Joseph Ragusin]”, April 17, 1916. The Daily Herald,“Miss Ragusin’s shower”, June 6, 1927. The Daily Herald,“Anthony Ragusin, age 78, dies”, April 15, 1940. The Daily Herald,“Mrs. Mary Ragusin dies”, December 11, 1944. The Times-Picayune,“Married-Ragusin-Milinovich”, July 28, 1901. The Swansine family name has gone through many metamorphoses and transformations as it was becoming Americanized. The family name was spelled “Sforzin” on original documents in Croatia, then a part of the Austro-Hungarian Empire. The descendants signed their name with assorted spellings during their lives as follows: Sforsin, Sforian, Sporcini, Offarcin, Swancine and Swanzine. The current generation is spelling their name-“Swansine”. Antonio “Tony” Sforzin (1832-1888) was the progenitor of the Swansine family in Louisiana and the Mississippi coast. He was born circa 1832 in Croatia, the child of Francesco Sforzin and Maddalena Schierbich. On 28 Oct 1863 at the Zagreb Roman Catholic Church in Mali Lošinj, Primorje-Gorski Kotar, Croatia. Tony Sforzin [Swansine] married Domenica Mattea “Matteo” Vidulich (1850-1910), daughter of Giovanni Vidulich and Mattea Ostromann. Tony brought his wife and three children to the United States through the port of New Orleans in 1887. He died shortly after their arrival and his widow married Antonio “Capt. 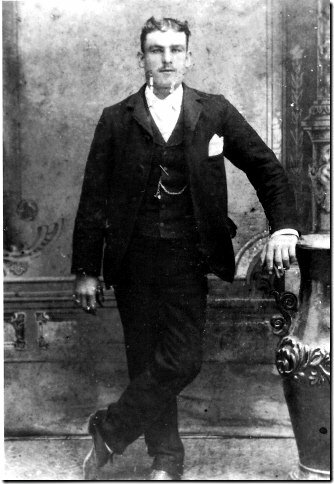 Toney” Bunicich, in New Orleans in October 1889. Matteo Vidulich Sforzin Bunicich died on Nov 10, 1910 in New Orleans and her corporal remains were interred in the Biloxi Cemetery. The known children of Antonio and Matteo Swansine’s were: Mary Swansine (1869 –1928) m. Marco Ragusin (1858-1911); Joseph Swansine (1871-1922) m. Mary Mickletich (1876-1903); and Matilda Swansine (1877-1948) m. Victor Simonich (1862-1916). Mary Swansine (1869-1928) married Marco Ragusin (1858-1911) on March 3, 1886 in New Orleans, Louisiana. Marco was a successful schooner captain in his early years and then retired from the sea and opened a saloon. During their married life the couple lived in New Orleans. In 1911 Mary lost Marco, her husband, on May 8th and her only son, Anthony Ragusin (1891-1911) on September 30th. She and her only daughter, Inez Ragusin, then moved to Biloxi and for some time lived with Mary’s widowed sister, Matilda Swansine Simonich. Mary Swansine Ragusin died in New Orleans on November 4, 1928 and was interred with her husband and son at St. Louis Cemetery No. 3 in the Crescent City. After their wedding in the Crescent City, the Turcottes settled at Biloxi, Mississippi at 228 Thomas Street. Alfred A. Turcotte had been an employee of the Veterans Administration for nearly one year. Apparently they left Biloxi for New England before April 1942. Here Alfred A. Turcotte registered for the WWII draft in April 1942, and related that he was married to Inez Turcotte and a resident of Bellingham, Massachusetts. At this time, he was employed by the City of Bellingham. Their mailing address was RFD No. 1 Woonsocket, Rhode Island. Joseph “Pepe” Swansine (1871-1922) was born on 23 Jan 1871 in Mali Lošinj, Primorje-Gorski Kotar, Croatia. He told the story of being strapped to the mast of the ship, in a storm, on the families’ voyage to America. In 1893, at the Episcopal Church of the Redeemer at Biloxi, Mississippi, he married Mary Mickletich (1876-1903), daughter of Stanislaus Mickletich and Sarah Perry. Pepe worked as a boatman as a young man and later at a local shipyard as a pipe fitter. He expired September 3, 1922 in New Orleans, Louisiana. His corporal remains were buried in the old section of the Biloxi City Cemetery. His beautiful wife, Mary, was born on March 15, 1876 in New Orleans. She died on September 14, 1903 and is buried beside her husband. Anthony “Tony” Joseph Swansine Sr. (1893-1958) m. Laura Chatham (1897-1976) on December 23, 1914 in Biloxi, at the home of Judge J. W. Farish. 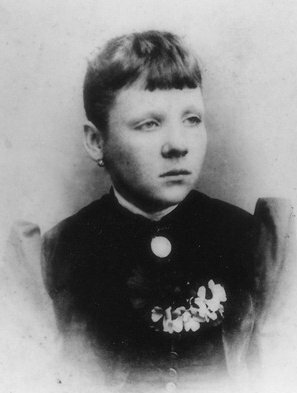 Laura Chatham was the daughter of Aaron Andrew Chatham (1862-1914) and Susan Emma Snyder (1863-1938). She was born in Biloxi on April 19, 1897 and died March 15, 1976. Tony is buried with his wife at Southern Memorial Park cemetery at Biloxi, Mississippi. Their known children were: Elenora 'Noni' Cecile Swansine (1916-1967) m. Lawrence W. Previto Jr. (1913-1997); Evelyn Frances 'Cot' Swansine (1917-1984) m. Charles Francis Westbrook (1913-1974); Anthony Joseph 'A.J.' Swansine (1920-1990); Andrew W. 'Wilbur' Swansine (1923-2007) m. Vivian Theresa Lechner (1930-2006); and Lois Mae Swansine (1926-1989) m. Ralph M. Beaugez (1924-2015). Lois Mae Swansine and Ralph M. "Buddy" Beaugez Jr.
Victor Simonich and Matilda Swansine Simonich were the parents of: ?atio Onorato Simonich (1893-1893); Louise M. Simonich (1894-1972) m. Joseph F. Uccellini (1883-1948); John Anthony Simonich (1895-1967) m. Leola Dellenger (1904-1988) and Elvina Holliman Brielmaier; Albert Edward Simonich (1897-1900); Matilda Simonich (1901-1980) m. George C. Quint (1886-1967); Victoria Simonich m. J. Randoff; Inez Irma Simonich (1906-1929) m. Elmer R. Walker; Joseph Anthony Simonich (1907-1965) m. Audrey F. Sterne (1917-1988); and Henry J. Simonich m. Hazel Turner. Barabara Starkey, Veli Lošinj and Mali Lošinj, Croatia Marriages, 1821-1890, Ancestry.com. The Biloxi Herald, “Neighborhood Notes”, September 12, 1891. The Biloxi Herald, “Latest City News”, June 26, 1897. The Daily Herald, “Necrology-Mrs. Matteo Bunicich”, November 10, 1910. The Daily Herald, “Swansine-Chatham”, December 24, 1914. The Daily Herald, “Simonich manufacturing barrel covers”, May 17, 1916. The Daily Herald, “Victor Simonich kills himself at home on Tuesday”, July 4, 1916. The Daily Herald, “Kornmann-Swansine”, February 8, 1917. The Daily Herald, “Biloxi cripple [Mary Swansine] is treated”, March 29, 1920. The Daily Herald, “Joseph Swansine dead”, September 4, 1922. The Daily Herald, “Swansine funeral held”, September 6, 1922. The Seattle Times, "Louise S. Uccillini', April 29, 1972, p. B-15. The Sun Herald, “Jacob Kornman Jr.”, August 1, 1998, p. A9. The Sun Herald, “Vivian T. Swansine”, February 20, 2006. The Sun Herald, “Andrew 'Wilbur' Swansine”, October 2, 2007.